GMO Free World: Unexplained Ailments - Coincidence? 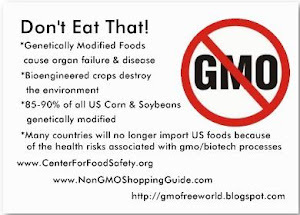 As administrator of this blog, I would like to share my personal account of how I discovered the horrors of GMO's. While researching several unexplained chronic health conditions that have surfaced in my own life over the past decade, I ran across a Facebook page explaining what GMOs are. This has led me to question these "coincidental" illnesses I have developed in my 30's and 40's - medical conditions none of my doctors (and I have seen many) can give any reasonable explanation as to their origins. Take a look at the list below and you decide... coincidence or gmo? Female, age 45, caucasian, 5'4", weight range from 128 to 148, no obvious health issues prior to 1998 (age 33), traditionally ate "healthy" diet, low in saturated fat, cholesteral and simple carbs; often ate grilled vs. fried foods, veggies and very little bread, not too much processed or junk food, very few sweets. 1998 - Developed first signs of Raynaud's Phenomena (fingers turn white in cold temperatures or stressful situations); increasingly became cold natured in moderate temperatures. So far, I have found no information giving a known cause for this condition other than it often occurs in individuals with some type of autoimmune disease. This year, (2010) I went to see a specialist. No known cause was found. None of my test results indicated existing autoimmune disease. I do have colitis, which some consider an autoimmune disease - which, again, has no known cause. 1999 - Increasingly encountered episodes of near-fainting; after several doctors routinely checked blood sugar levels over the years, finally had an endocriniologist confirm hypoglycemia in 2007 - but of unknown origin; not diabetic or pre-diabetic. Also began to develop irregular heartbeats from time to time (arrythmias); finally had cardiologist run tests and confirmed I had PSVT - of no known origin. The arrythmias have become less frequent since having PTH surgery in 2009 (see below), but still exist. "[The cause(s) of microscopic colitis is unknown. Some doctors suspect that microscopic colitis is an autoimmune disorder similar to the autoimmune disorders that cause chronic ulcerative colitis and Crohn's disease....]" I have had numerous blood tests done between 2007 and 2010 to check for various auto-immune disorders. So far, they have all come up negative, even an extensive test performed by a rheumatologist that checks further down the line beyond the basis ANA test. 2005 - Had my first migraine headache ever! It was the most excruciating pain I had every experienced with a headache and lasted for 3 days. I have since had migraines off and on, several times a year for the past 5 years. None of my doctors have been able to determine their source. Two neurologists examined me. I had an MRI, and it was normal according to the doctor - a highly revered specialist in her field at Piedmont Hospital in Atlanta. 2008 - Parathyroid disease. Primary hyperPARAthyroidism was diagnosed, coincidentally after my sister had the same condition. Both our doctors and every source of information I have studied indicate we did NOT have the familial type of hyperparathyroidism. Strange... I had my enlarged gland removed in June, 2009. When I asked my endocrinologist and my PCP what causes primary hyperparathyroidism, neither of them had an answer. When I asked my surgeon, he simply said it was from a "gene mutation". A GENE MUTATION! And NOT FAMILIAL, even though both my sister and I had this same condition! This was long before I knew anything about genetically modified foods. Now I'm highly suspicious of HOW this gene mutation occurred! 2009 - After suffering chronic headaches and sinus issues that only seemed to increase over the past decade, finally had allergy testing done. Tests confirmed allergies to several things including Nickel. For several years I bought soy milk instead of regular milk because of problems with lactose intolerance and because I thought it was healthier. Now I understand most soy produced today is genetically modified and is extremely dangerous. Hmmm.... and to think I've been giving this stuff to my son as well! It horrifies me to no end. Other family members who seemingly were healthy earlier in life have developed chronic ailments over the past 10 or so years. None of us are obese, smoke or drink alcohol. We do not live near any chemical plants. We eat fruits and vegetables, often home-cooked meals. My son has had frequent sinus infections, chronic allergies and nose-bleeds. We both are currently taking allergy shots on a routine basis. My sister developed chronic migraines and pre-diabetes in her 40's. She has ALWAYS prepared her meals at home and always been concientious about serving her family fresh meats and vegetables - often serving creamed CORN! She has developed chronic allergies over the years and experienced weight gain in spite of her "healthy" home cooked meals. She eats very little dairy. Both her children have had chronic infections growing up. One child had asthma but has pretty much out-grown it, but now seems to get stubborn throat infections or viruses each year that are harder and harder to get rid of. My father was diagnosed with diabetes about ten years ago. He has always enjoyed fresh, home-cooked meals, including CORNbread. (Wonder if this cornbread was made with GMO corn? Most likely.) He now is in the final stages of diabetes/kidney disease and goes to dialysis 3 times per week. He has never been obese or otherwise unhealthy prior to the diabetes taking over his life in recent years. Are all these conditions mere coincidence? 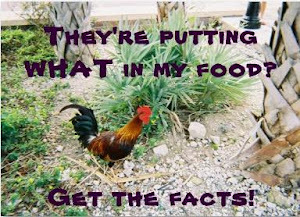 Or could they be caused from GMO foods we have consumed over the years. My money is on the GMO factor, at least for myself and my sister. If you find yourself or family members experiencing 3 or more CHRONIC health conditions that don't seem to make sense, you might want to consider the GMO factor. According to recent studies, the number of individuals in this category has doubled since GMO's were introduced into our food supply. DOUBLED! And they say GMOs are just as safe as Non-GMO foods! REALLY?! I beg to differ.